The Atlas (C1) and Axis (C2) are stabilized by muscle and supportive soft tissue which make it vulnerable to injury or easily affected by muscle tension forces causing misalignment and therefore nerve dysfunction. We’re heading toward longer days and summer vacation time when we get more active giving us all great motivation to get into better shape and feel an improved sense of well being. Amundsen Chiropractic Health Care provides a superior way of balancing and freeing nerve function through your spinal cord to the brain and back again. If you learn some basic knowledge about how your body functions and by supplying its needs, you’ll understand the importance of utilizing various disciplines to support and raise yourself to your physical potential and superior well-being. 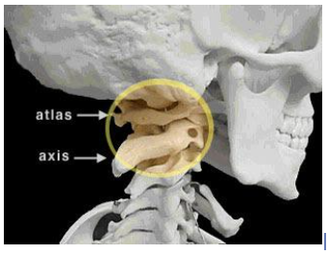 The Altas Orthogonal chiropractor starts at your first cervical vertebra (or C1) which is in close proximity to your brainstem. This region of your neck contains a complex communication network that processes information from the brain, through the proper channels to the body and visa versa. If your 1st cervical vertebra is out of place, the nerve messages can and do get impeded or over stimulated causing a variety of dysfunctions at the molecular level potentially affecting your body systems, motor level affecting your muscles, and sensory level affecting your senses. This is such an important region of your body that we take great care and study regarding the treatment of issues related to the misalignment of the Atlas bone. You may feel off balance and/or actually experience a sense of incoordination. You may experience pain or other sensory disturbance which is your conscious experience that something is wrong and a change needs to be made. As a life-long receiver of upper cervical chiropractic care and a provider of it, I have great respect and understanding of how the body’s function can be improved and restored by having your head on straight, literally speaking. Don’t hesitate to get your Atlas checked on a periodic basis. We recommend getting your Atlas checked four (4) times a year.